In 2014, Alan Eustace rose to a record-breaking height of 26 miles above the earth, lofted by a giant helium balloon and protected from the frigid near vacuum by nothing more than a specially-designed spacesuit. Then he released and plummeted to the ground in a 123,000 foot free fall, landing safely by parachute in the New Mexico desert. Jared Leidich, the man who led the team that designed and built that spacesuit and parachute recounts how a small group of engineers spent three years designing, building, testing, failing and starting over, until they made the system that carried Eustace safely to the edge of the black sky and back. 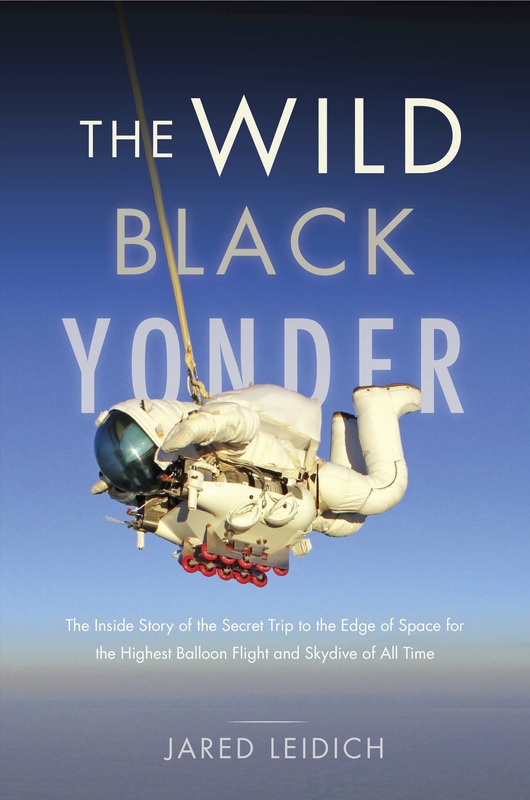 The Wild Black Yonder is an amazing story of imagination, exploration, engineering, perseverance, setbacks, successes, and teamwork. The stakes were high – before Alan, only four other aeronauts had attempted to ascend to the stratosphere and skydive down. Two of them died trying. Throughout the book, Jared describes the technical challenges, designs, engineering, and problem solving that made the program a success. He also shares his personal highs and lows, many false starts, and internal debates that sometimes spilled into frustration and anger. He admits that at times he felt they “were becoming weathered soldiers in a losing war against disappointment.” The long hours and the pressure of building a system that would put a friend in utmost danger yet bring him back to safety took a significant toll on his personal life. Yet in the end the honor of success, the reward of working with a great team, and the value of pushing the boundaries of knowledge made it all worthwhile. Besides being a stirring saga, the book is impressively illustrated with drawings, diagrams, and eye catching photos included with every chapter. The splendor of the desert at dawn contrasted with the beauty of a well made machine is clearly seen in these pages. Purchase your signed copy here and invite yourself to imagine the future of travel away from the planet – the missions, the craft, and the reasons for going.